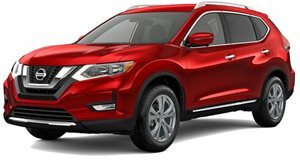 According to Reuters, the National Highway Traffic Safety Administration has opened a probe into 675,000 examples of the 2017-2018 Nissan Rogue over reports of unintended braking. The probe was opened late last week as a response to a request by the Center for Auto Safety, the very same non-profit organization that successfully lobbied for a full-scale investigation into certain Hyundai and Kia model engine fires. Having safety systems like automatic emergency braking in modern vehicles is certainly a good thing, but that’s only one side of the coin. These systems need to work as intended. Otherwise, they could become the cause of the accidents they’re designed to prevent.